Home :: Kits - Quarter Scale Buildings :: Oldtime Downtown Bldg. 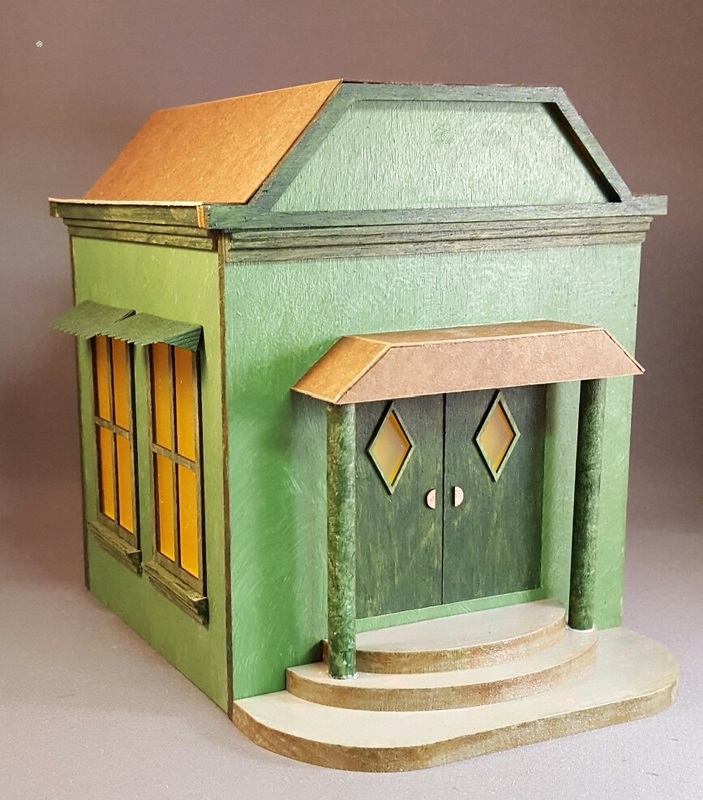 This quarter scale structure is reminiscent of buildings that were seen in our downtowns at the turn of the century. Once proud, but now empty or discarded. The windows are yellowed from age, the style is old, but it can be renovated or repurposed as they now say. Steps lead up to the building, one story inside, tall ceilings. Let your imagination go wild.